We chose these birds specifically because they are cold hardy, so they should do just fine in our winters up here in The North. The Wyandottes and Welsummers are also known for being good foragers and thus will take more nourishment from pasture. 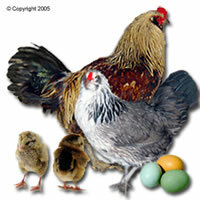 All three breeds are known for being good meat birds as well as egg producers, aka dual-purpose. While Ameraucana chickens are not the best foragers, I couldn’t help wanting to start building and breeding our own flock of these “Easter Eggers”. The breed is well-known for its blue-green eggs, what better bird to try a hand at breeding? Welsumers are known as particularly good foragers, and lay light brown eggs. 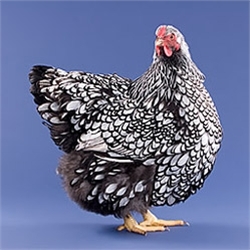 Wyandottes lay very dark, almost chocolate colored speckled eggs. We’re expecting them to arrive at the end of the month, hopefully before our first snow! In preparation for this we finished up our Chicken Brooder Hut. For those new to chickens and homesteading, a Brooder is simply a separate area for hatching new chicks. This could be day-old chicks mailed from a hatchery, eggs hatched in a heated brooder, or eggs hatched the old-fashioned way--with a broody hen. Lucky for us, the farm came with a wooden shed structure, easily converted into such a place. We made few alterations to the shed, except to cover the ventilation holes in the corners with chicken wire, to prevent creatures from getting in and out. Fortunately, the shed has a concrete floor, so I don’t think we’ll have too many intruders from that direction. deter predators from digging their way in. We also fenced in a small yard for the chickens till we set up a mobile range coop for the pasture. The chicken yard fencing is pretty basic, with 6’ chicken wire zip tied to our extra 5’5” t-posts from our fencing project. We dug the chicken wire down about 3 inches, pulling up the sod about 6” and laying the chicken wire flat along the ground for those 6” and pulling the sod over it. We jury-rigged some old fallen branches from our forest, which we like to call Mirkwood, to make up the difference in height and support the chicken wire. Donnie had the great idea to use some of the thicker fallen branches for roosts for the chickens, and we needed about 4 inches of roost, per chick, and later 8 inches when they were adult-sized. Wild chickens often roost on branches, so we thought, why not save a few bucks? We placed a layer of cardboard boxes leftover from the move across the cement floor of the hut, for easy clean up. We’ll be doing a deep-litter method with straw which basically sets up a self- composting system, where the chickens stir up the pile, and it also helps provide heat for the coop. Pretty neat, eh? This method also reduces the frequency of having to clean the chicken hut, and when you do, just put your shovel under the partially composted cardboard and it comes up in a block. Instead of having to clean the hut every couple of months, we’ll have to clean it once a year. mulch until its all composted! As for the actual brooder "pen", where chicks normally spend the first few weeks of their life, we’ll be using wood shavings, inside a large cardboard box. This is a temporary brooder pen that we’ll be replacing with a wooden frame pen and removable tarp bottom with our next flock, broiler chickens. I feel like brooder equipment has become pretty standard--an infraredheat lamp and 2 250 Watt Red light bulbs (always have an extra), electrolyte packets (yes, such a thing exists outside of Idiocracy and can help chicks through the first few days), a water source, feeder, and some grit. For anyone looking to start their own flock, we highly recommend the Storey’s Guideto Raising Chickens and Chicken Thistle Farm as resources! Next week, I'll be looking for so-called "real-jobs", while Donnie works at his new "real job". We'll also be attempting to clean out the barn, fix where we've got water draining into it, and get some free kittens to kill the resident rat population so we can eventually get a cow! 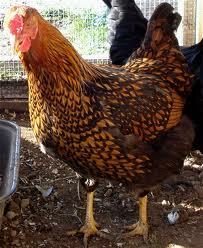 Those Wyandotte hens are beautiful! WoW!